This 17th century liqueur combines exotic Jamaican Rum with coffee and a hint of vanilla to give a true Italian Coffee flavour in the style of Tia Maria. It’s delicious simply over ice, frequently used as an ingredient for cocktails, but most commonly served with fresh milk and ice. 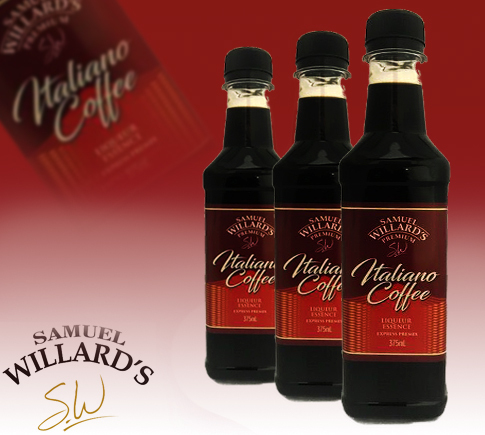 Samuel Willard’s Italiano Coffee premix base produces 1125mL of spirit from each 375mL bottle.